Dr. Craig M. Pradarelli’s first exposure to PI’s and law enforcement was while training in martial arts at age 13. While taking Criminal Justice classes Northern Arizona University, he handled various assignments for Arizona’s Coconino County Constable's Office in association with a private investigator. He returned home to Wisconsin to complete his psychology degree and supported himself while operating an investigative agency, investigating State Public Defender's cases and working event security for major musicians on tour. After graduating from medical school in 2009, Dr. Pradarelli taught Pharmacology, Neuropsychology, Medical Psychology, and Radiology at The American International Medical University. 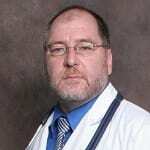 He now teaches pathology and related medical topics in EL Paso, TX as well as running a forensic consulting practice. He has written numerous articles for PI Magazine, The Texas Investigator, and other publications. His avocations are martial arts and HAM radio.